Index for 1878 History of Knox County, published by Chas C. Chapman & Co., 718 pages, provides Birth Date, Birth Place, Parents, Spouse(s), and Index to Biographies for over 800 Knox County Residents! Index for 1886 Portrait and Biographical Album of Knox County provides Biographies, Portraits and/or Property Views for nearly 925 Knox County Residents! 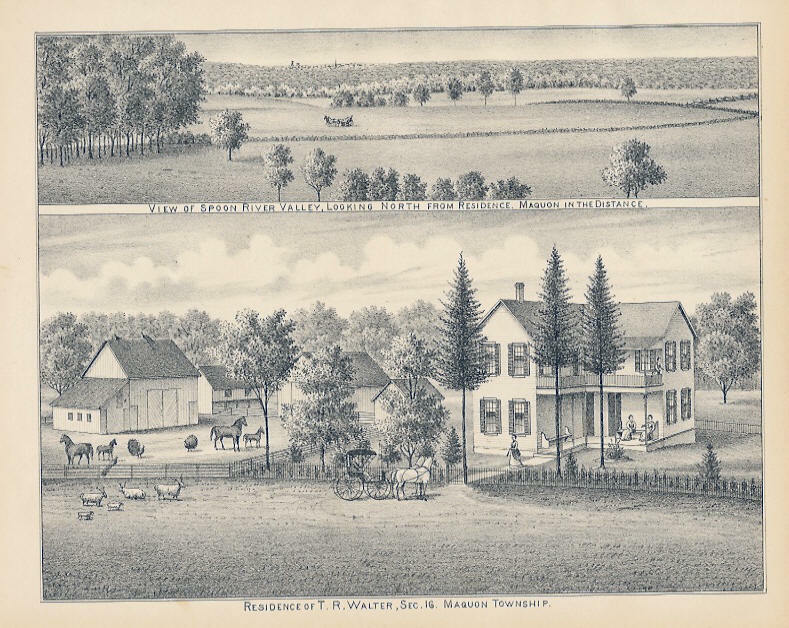 Plus, see a copy of an 1886 subscription receipt for a page view of the residence and surroundings of Thomas R. Walter and 40 extra copies of the view. Index for 1899 Historical Encyclopedia of Illinois and Knox County, Munsell Publishing Company provides portraits and/or biographies for 738 Knox County residents.